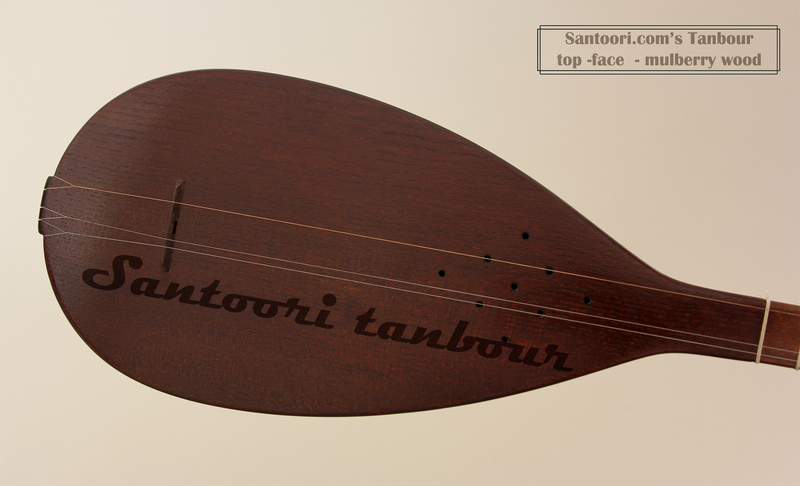 after six years of successful purchase of different brands of Iranian - Kurdish tanbours Santoori intended to instroducte the following tanbour with a pronounced sonority and fair volume of sound. We are intrigued to learn if we can inspire our Kuridsh Tanbour's customers to a new ambience. The Tanbour no. 2-1 and 2-2 are the achievement of Santoori Musical Instruments since 2012. Let your Tanbour be reflective of your finger fantasies based on a profesional class long necked lute implying affectionate master work of our tanbour maker. 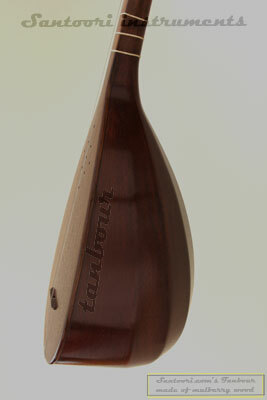 The following tanbour should be ordered in davance and is not always in stock. Any online purchase has it's own difficulties. That's why we offer you a live consultation, so that you clear inexplicit points and feel comfortable. 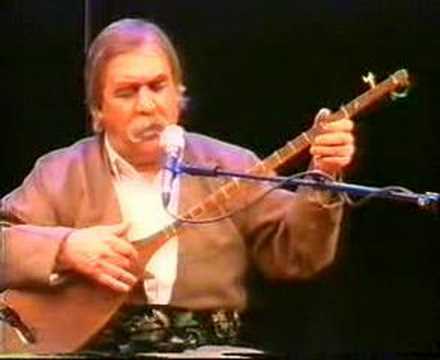 Tanbour with different transcription and transliteration forms like tambour, tanbur, tambur, tamboor or tanboor refers to various long-necked, fretted lutes originating mainly in Iranian Kurdistan. 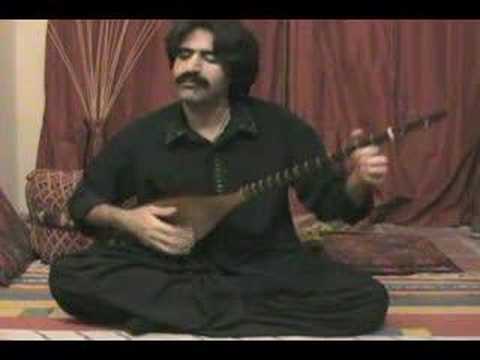 Tanbour is one of the important instruments of ancient Iran and the cult and religious instrument of Ahl-e-haq community. In the past two kinds of tanbour were usual; Khorasani tanbour and Baghdadi tanbour. 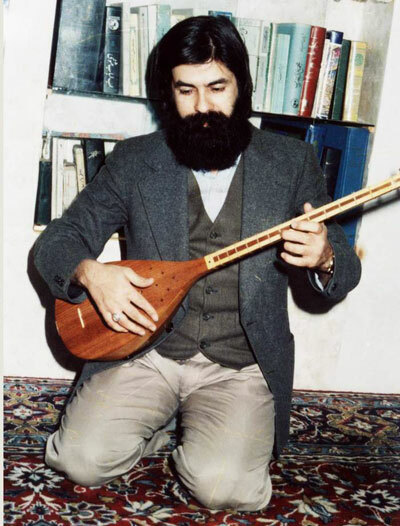 Tanbour, among usual Iranian musical instruments, is one of the rare instruments, which is sacred. In the zikr cycle of Ahl-e-haq tanbour is the only instrument, which can be approached to the cycle. The concentration of using of this instrument is at present in Kermanshah province, in Goran, Sahne, Gahvare region and at the north part of Lorestan. Generally where you can find a Yarsani community, tanbour can be found. Most of tanbours related to Goran are from solid bowl body and the ones related to Sahne are mostly from striped bowl body. The oldest tanbour of striped bowl, which is known to, is made by the late Ostad Khodaverdi from 120-130years ago. His instruments are made from 7 strips. The holes of the top: There are some holes on the top of tanbour. The number and position of these holes can vary from a maker to the other. Frets: Tanbours of Goran region have usually 13 frets and from Sahne region mainly 14 frets. 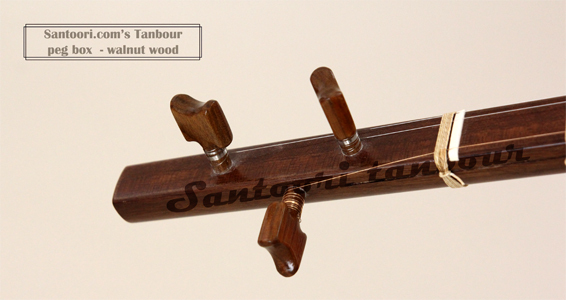 Santoori.com offers diverse professional and semi professional quality tanbour from different regions of Iranian Kurdistan. They all are original and come from Kermanshah, Gahvare, Sahne and Kerend. Gahvare is a tanbour making town, where many people over there are great tanbour makers and players, where making of this instrument has his roots and tradition. Many tanbour makers patterned the famous tanbour maker the late Ostad Assadollah Gahvare for solid body tanbours and the late Ostad Khodaverdi for striped body tanbours.